Shimano was founded in 1921 as Shimano Tekkojo, Shimano Iron Works (in English), by Shozaburo Shimano in Sakai, Japan. In 1931 Shimano began exporting freewheel hubs. In 1961 the company announced the first 3 speed gear hubs. In 1973 their first series of Dura-Ace components was introduced to the market, which remains to this very day as Shimano’s top product in racing bikes. 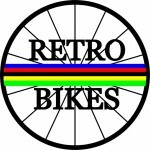 The company is a world leader in component groups for bicycles, especially XT(R) for mountain bikes and Dura Ace for racing bikes.Shimano was the first to have complete component groups consisting of rear and front derailleurs, freewheel, crankset, headset, BB and brakes, as well as shifters und brake levers.